New Release: CloudBolt C2 v4.0. Innovation at all New Levels. The next-generation Cloud Manager keeps innovating in numerous ways that help make IT organizations run better and more efficiently. We’re proud to announce the availability of the CSCV system. Sounds intimidating, but we’re certain you’ll need it. As the numbers of IT environments, virtualization platforms, DCA tools, and Orchestration tools increase, so does the overall complexity of running and provisioning systems into any one environment. C2 does a great job of orchestrating and automating this entire process, but what happens when an administrator changes a password in vCenter? Or a developer unexpectedly updates a workflow in an external orchestration tool? Automated provisioning will break. 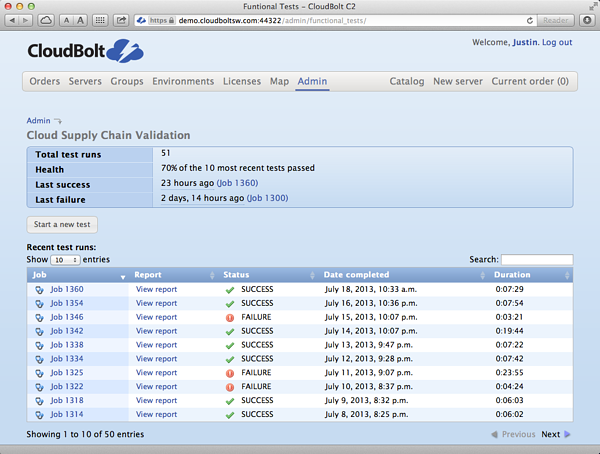 The Cloud Supply Chain Validator. Ensure that all aspects of your automated environment are operational. The purpose of CSCV is to ensure that all needed actions in any environment configured in C2 both executes, and returns the expected result. CSCV will automatically run through any number of tests, and immediately notify the CloudBolt Administrators in the event of a failure. We don’t just allow for CSCV to test provisioning, though. CSCV can test the end-to-end process of de-commissioning, power on/off, and installing/removing applications. In short, C2 will tell you when something breaks in the end-to-end provisioning process for any environment C2 is configured to manage. It does this across virtualization and public/private cloud platforms as well as Data Center Automation tools, Configuration Management tools, and any external Orchestrators (more on that momentarily), and, of course, any orchestration hooks that you have configured in your environment. Read more about the CSCV in a blog post here. 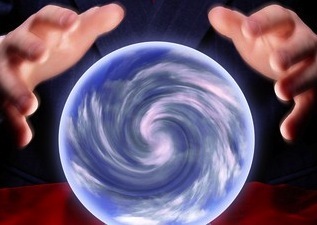 Are you a managed service provider that’s using C2 as a portal for your end users? With v4.0, we’ve added multi-portal support. C2 can now be configured to accept connections from multiple URLs. 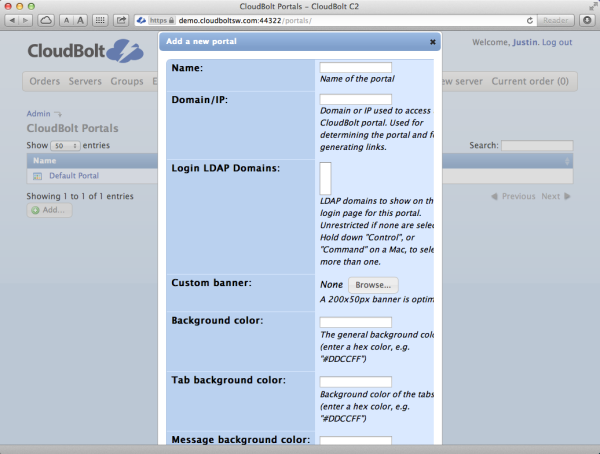 Your customers or users securely connect to CloudBolt and each URL will represent a different portal, and that can be separately configured with theme colors, and a customer logo. Many different aspects of the C2 UI can be customized based on the URL used to access the C2 UI. While users have always been able to create multi-server orders (that can even include a software defined network or two), C2 did not have a built in service catalog. We do now. Administrators can pre-create services, assign group and environment permissions, and make those services available to other C2 users. A service for CloudBolt C2 is any combination of servers, applications, networks, and environments. In short, anything that can be ordered in C2 can be made into a service, allowing easy ordering of complicated services and application stacks. 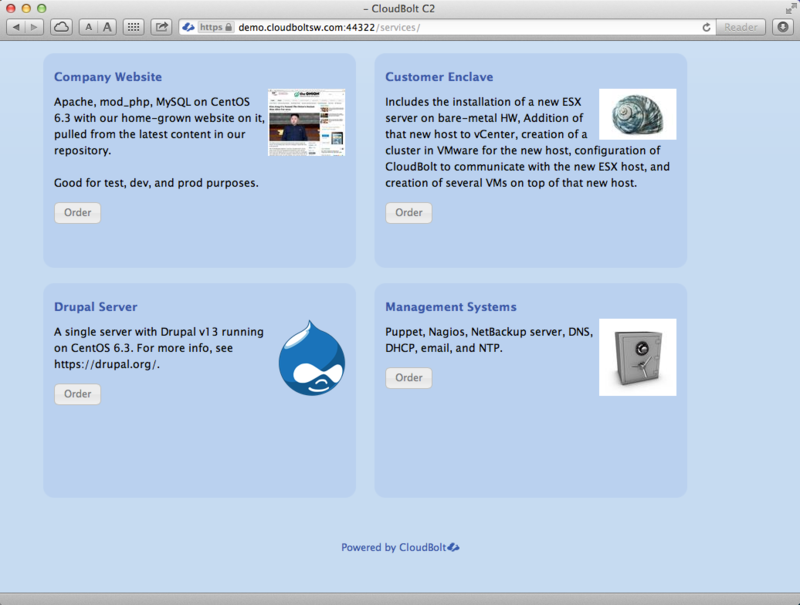 C2 makes it easy to create fully-contained services, and make them availble to your users. The new connector class supports external orchestrators (also known as runbook automation tools). Once your External Orchestrator is connected into CloudBolt, C2 Administrators will gain the ability to call nearly any contained workflow at multiple points during the provisioning, decommissioning, power status change, and health check processes. Users with the correct permissions will also be able to see, and execute, specific external workflows from within the server view. C2 can import and directly execute workflows from HP Operations Orchestration and (soon) other orchestration tools as well. Today we are shipping C2 v4.0 with a connector for HP Operations Orchestration (HPOO). Want to connect to another external orchestrator such as VMware vCenter Orchestrator, or Microsoft System Center Orchestrator? That capability is just a phone call away. CloudBolt already has unrivaled flexibility to integrate with external systems and custom systems using Orchestration hooks but sometimes a deeper integration is desired for custom developed configuration management tools or first gen cloud management tools that are being phased out over time. C2 4.0’s Abstraction layer includes a new open API that allows customers or their services partners to write their own CloudBolt connectors. Ultimately these connectors can even take a path to full support from CloudBolt but regardless CloudBolt can be enhanced to connect to any tool that an environment may dictate. 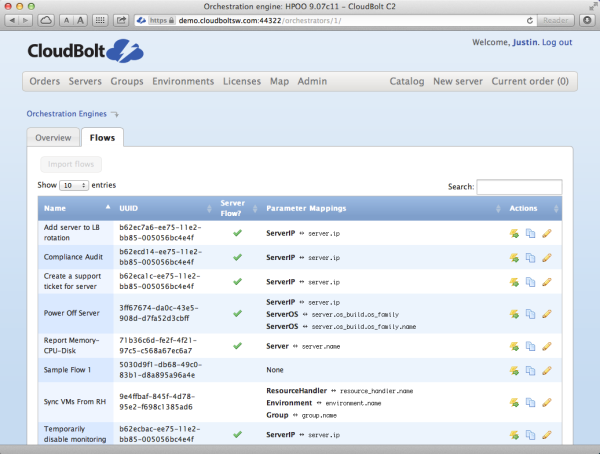 Speaking of Orchestration Hooks, C2 v4.0 has an updated Orchestration Hook management UI. C2 Administrators can completely manage the type and order of Orchestration Hook execution, and also now assign multiple hooks per step. All from the UI. 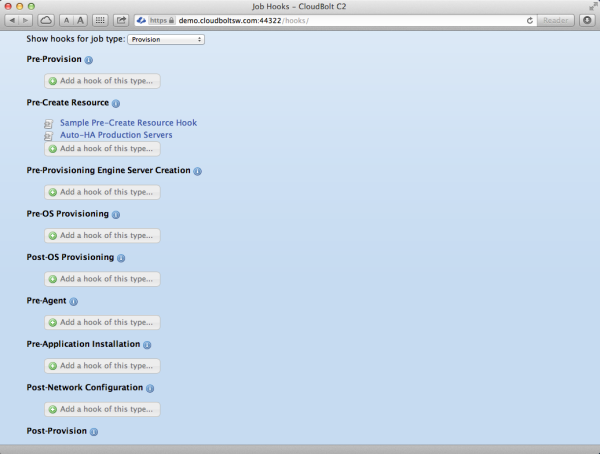 The C2 Orchestration Hooks UI uses scripts and workflows to integrate nearly any technology external to C2. We’ve added support for Red Hat Enterprise Virtualization Management (RHEV-M) to the list of currently supported Hypervisors. Puppet Configuration Management is now fully supported for Data Center Automation. Environments with Puppet installations can now use C2 to automate the installation and management of applications in environments. Users can be presented with a list of available applications, and select the desired ones to be installed. Of course Puppet-managed applications also get the same License Management, permissioning, and rate metering that C2 provides. C2 v4.0 now supports hosting the OVA on XenServer. We’ve also expanded the LDAP and AD integration, Administrators can now have multiple auth targets per C2 instance, and can support multiple domains in a single AD forest. Additionally, the synchronization of user data between C2 and the authentication systems is richer, and includes more attributes. The capabilities in C2 are both innovative, and also highly accessible. Most administrators can install C2, and be using its intuitive interface to deploy virtual machines in under 20 minutes. We’ve focused our efforts on innovating, but with a decided understanding that even the most innovative feature is useless if it takes three months to install and configure, and this is no different in C2 v4.0. Want to see more? Request a demonstration today.